But first a quick disclaimer! Before you take the metrics that I'm about to share with you as Gospel of how you're going to measure all of your activities and outcomes for guaranteed success in 2019, remember that context is king and variables are it subjects. I like to think of metrics like a doctor would when trying to diagnose the health of a patient. When a doctor runs tests, they are usually looking for indicators, like high cholesterol, to tell if you are in danger of a heart attack. Because they know that the higher the cholesterol, the more likely it will lead to that outcome. And like a doctor who runs tests, or a patient who regularly tracks their health trends with a Fitbit, sales managers need metrics to diagnose- and to coach to desired outcomes. Cost per sales call- how effective and efficient are the conversations? Movement in pipeline- how long are opportunities staying in each stage? Pipeline balance- are there enough opportunities in each stage? Calendar or schedule availability- how booked out are salespeople? Some might even be as progressive as to be able to say- I know when deal reaches this stage, its a 70% chance it will close. But what does it take to get to truly get to that stage? The quality of opportunities- This could be scored based on the number of contacts involved. How many meetings and conversations need to happen. 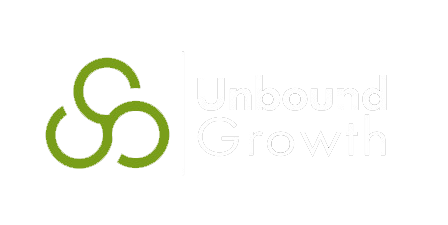 If a compelling reason to buy has been identified and articulated by the decision makers and influencers. The quality of the conversations- How much time do salespeople spend talking? How many switches, or back and forth, is happening on the call? How engaged is the buyer? How many questions are being asked? How consistently are questions being asked throughout the call? How many conversations end with next steps which have a date and time? What key phrases are used on calls that indicate problems? But it doesn’t stop there. The activities that happen, and the quality of those activities, are only as good as the salesperson who executes them. 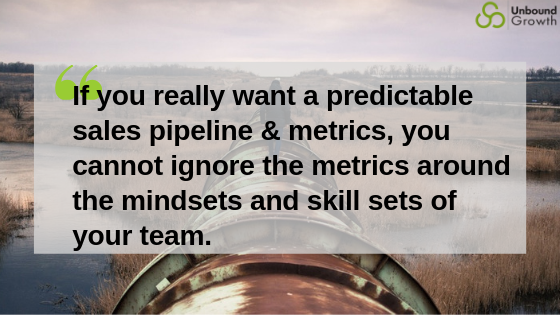 If you really want a predictable sales pipeline and metrics, you cannot ignore the metrics around the mindsets and skill sets of your team. Measuring things like how their need for approval gets in their way, or whether they can control their emotions, are just a few mindsets that can be evaluated and measured. If a salesperson isn’t asking enough questions, or is asking a lot of questions but they are not thought provoking or add value, that could indicate coaching is needed to work through those mindsets that are getting in their way. Lagging metrics tells you what happened. Leading metrics tells you what needs to happen to get to a desired outcome. When you are thinking about which metrics you can’t afford to ignore, think of your pipeline as a patient, and you are it’s doctor. Don’t take your salesperson's word that the deal is going to close, ask for evidence. Measure what could kill a deal. Measure what needs to happen for it to be healthy. How many steps does your team need to take everyday to lose weight and lower their cholesterol? Join us (nearly) every Monday at Noon EST for the #livesalesmanagementlab where channel account managers and sales managers come to share challenges, discuss best practices, and practice new approaches.